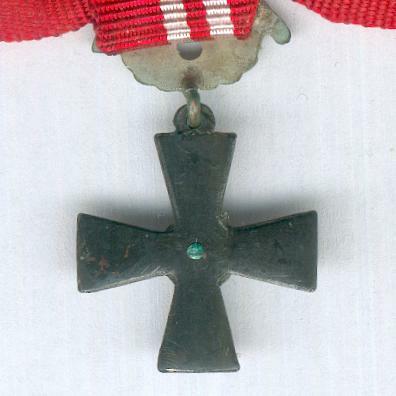 Miniature blackened iron cross pattée with magnetic core with eyelet and oval silvered laurel wreath and crossed swords suspension denoting an award for active military service; the face with a silvered white rose of Finland imposed centrally on a silver cross gammée; the reverse plain black; diameter 16.78mm (0.66 inch); on original military ribbon. 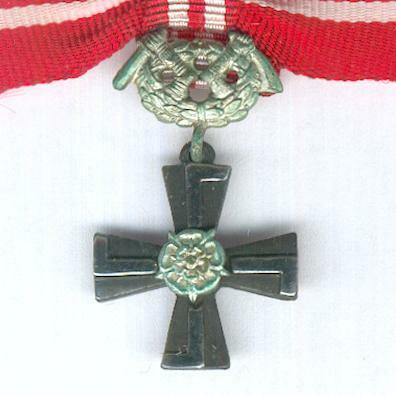 The Order was created on 16 December 1940 from the previous Cross of Liberty which had been founded on 4 March 1918 at the time of Finland’s war for independence. 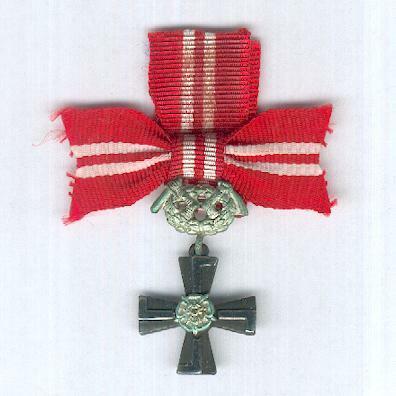 It is Finland’s premier order and, since 1960, may only be awarded for active military service in time of war. 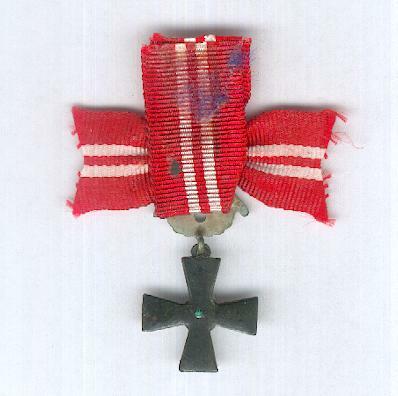 This example is of either the 1939 or 1941 type awarded for front-line military service during the Winter War between 30 November 1939 and 13 March 1940 or the Continuation War between 25 June 1941 and 19 September 1944.